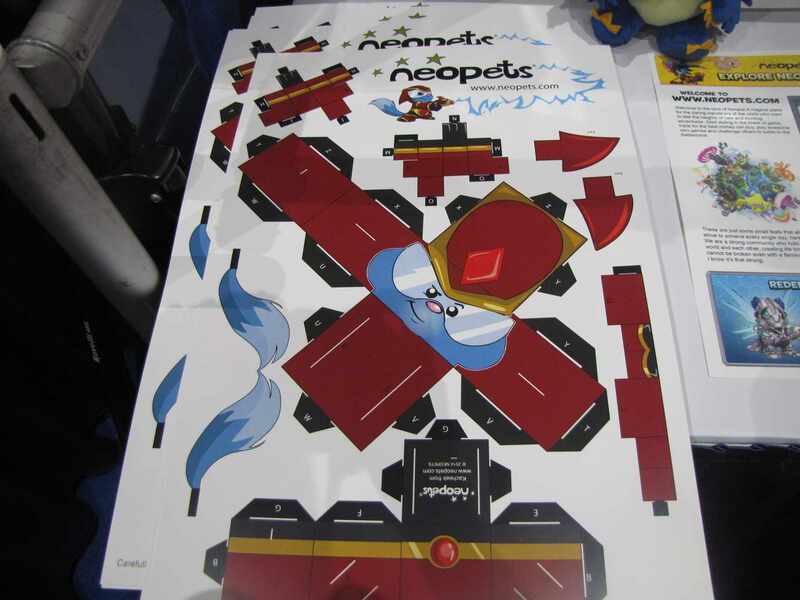 It's been 4 years since Neopets has had a presence at Comic-Con (an annual gathering "comic" fans—but has since grown to include a huge variety of "fandoms"), and this year Neopets went all out! 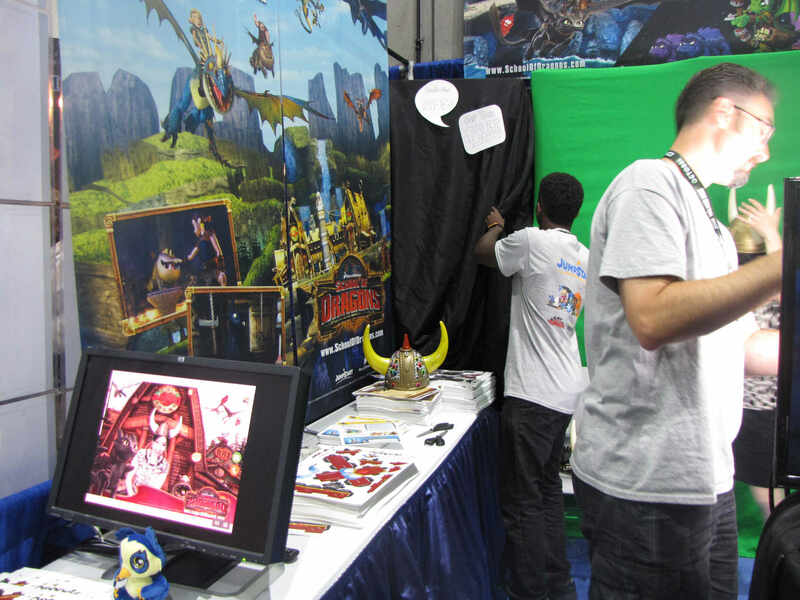 They were set up on the convention floor at booth #5566 (for Comic-Con badge holders only), and they also hosted a small after party event outside of the convention for any Neopets players who wanted to join. 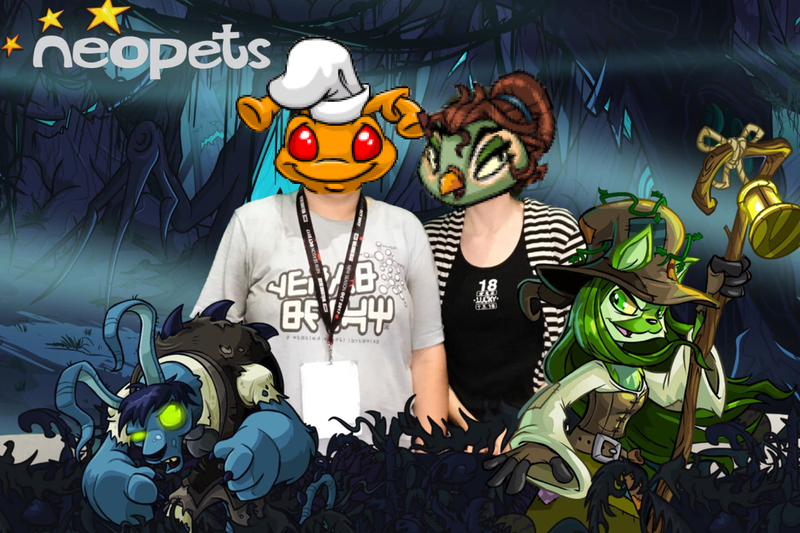 For the first time, Jumpstart hosted a small after party event for Neopians to hang out and mingle with TNT. 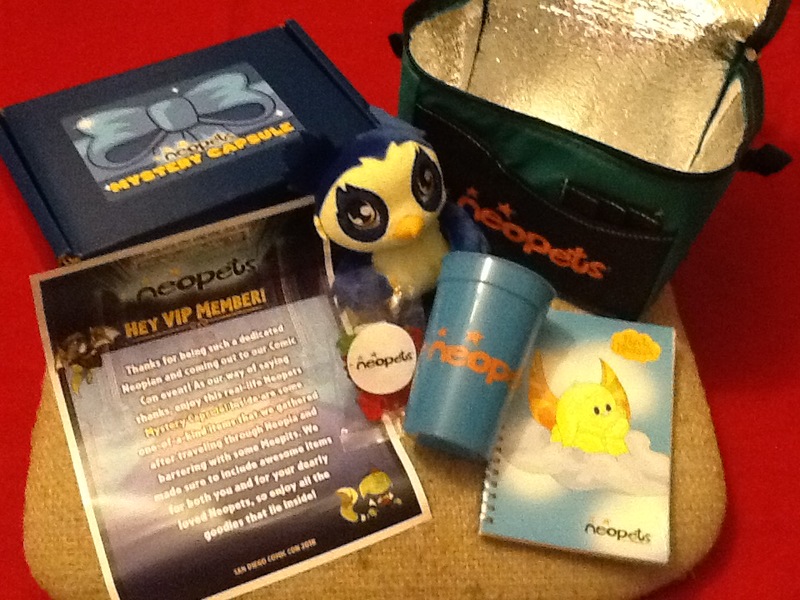 The event included snacks and drinks (you had to be 21+ to join), along with a photo booth area, Neopets props, and swag bags. To get into the party, you had to pre-purchase a ticket for $15 before the event, and those tickets sold out very quickly. Due to the demand, a last minute standby line was announced and those that showed up were able to eventually enter and meet with TNT. 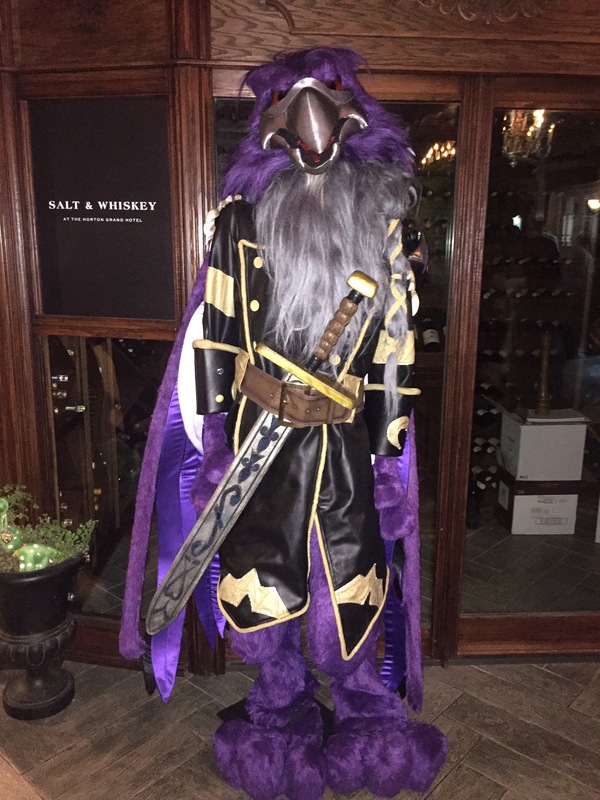 Our very own Perry was able to attend the party and has a firsthand rundown of all the details! 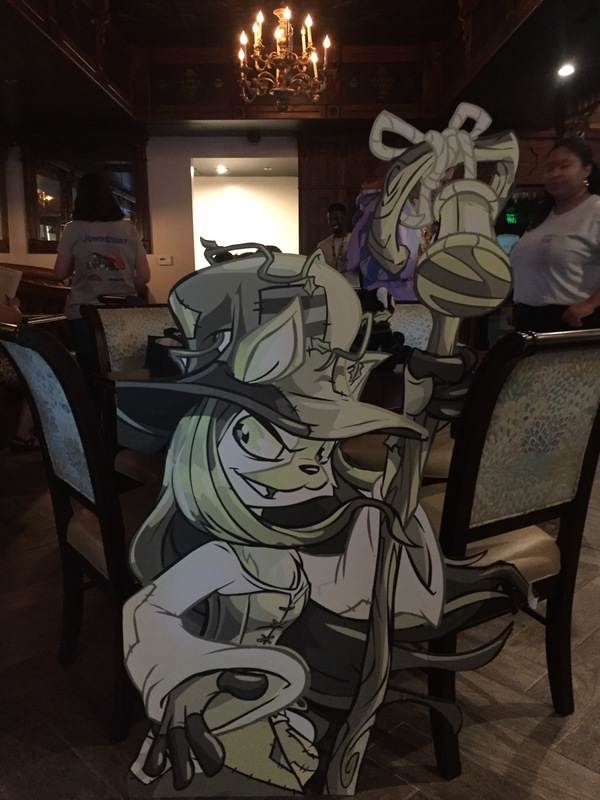 Here are a few shots of the decor seen around the party! The Scorchio and Kass were stuffed! 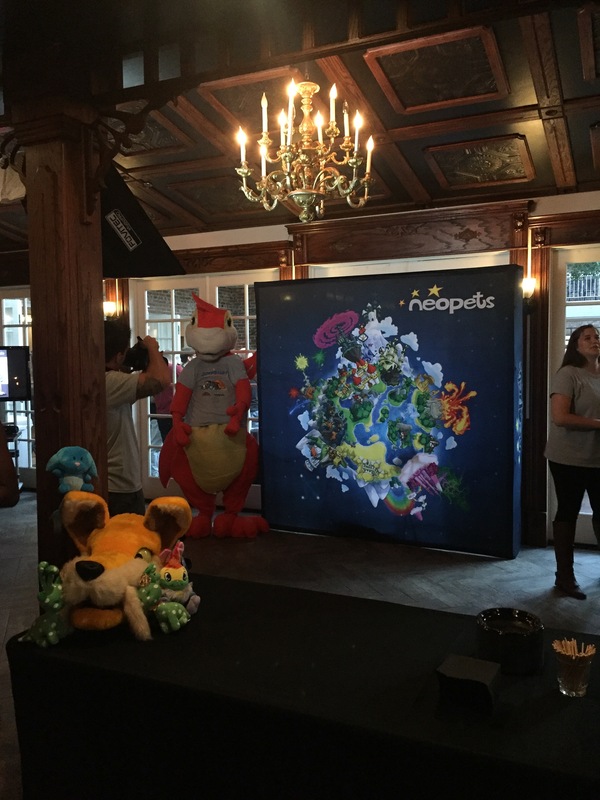 Everyone that Perry talked to iterated that the goal for having an outreach event like this is to begin connecting more with the Neopets community. 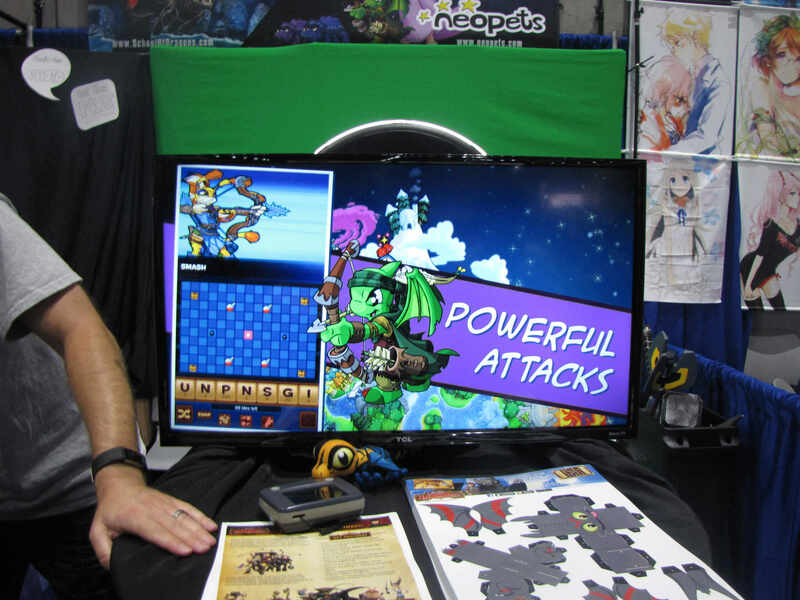 Every staff member Perry had the opportunity to chat with emphasized that it is a big priority for Jumpstart to interact more and develop the community—which is great news in our opinion, and something a lot of Neopians will enjoy! 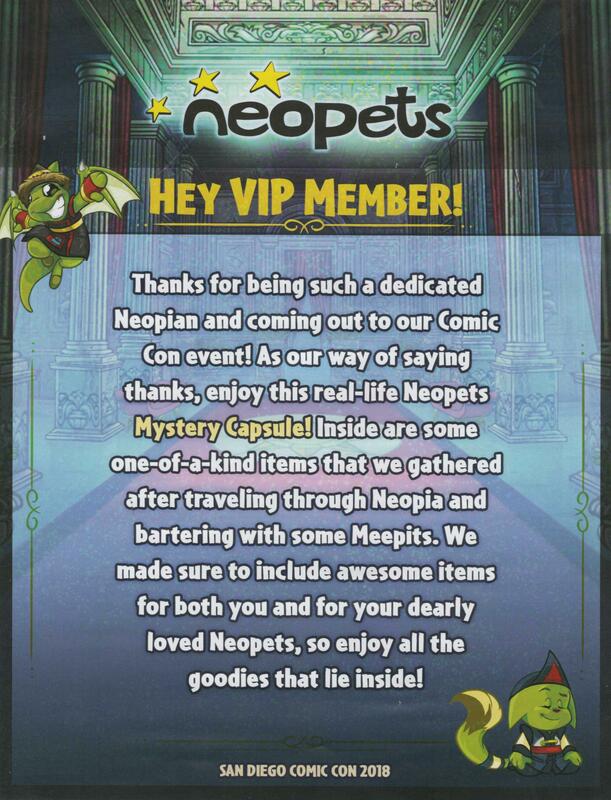 The Neopets players at the event were a diverse crowd; men and women of various ages and appearance, and everyone was psyched to be there. A wide range of Jumpstart staff was on hand to meet with users, including Scrappy, Jade, Hip-Hop Queen, and Dark Lord (the CEO of Jumpstart). 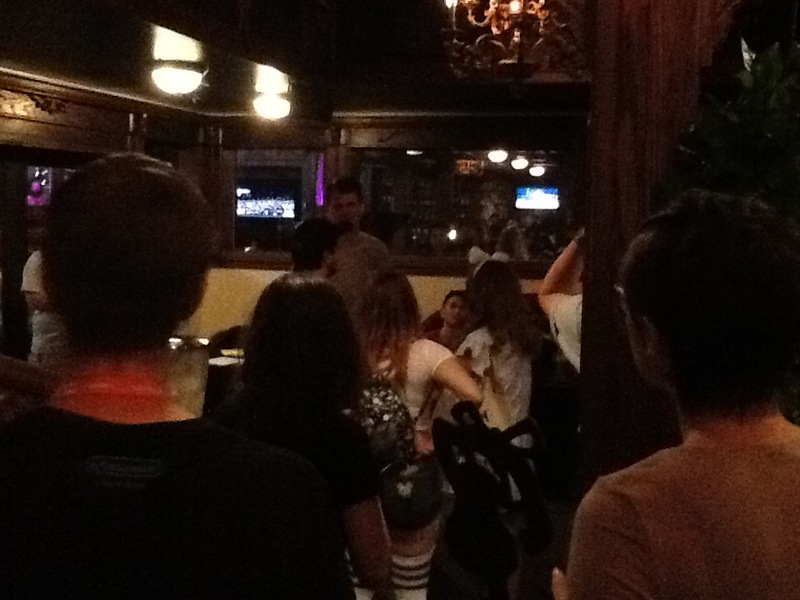 In addition, there were programmers, artists, marketers and developers mingling and chatting with attendees. 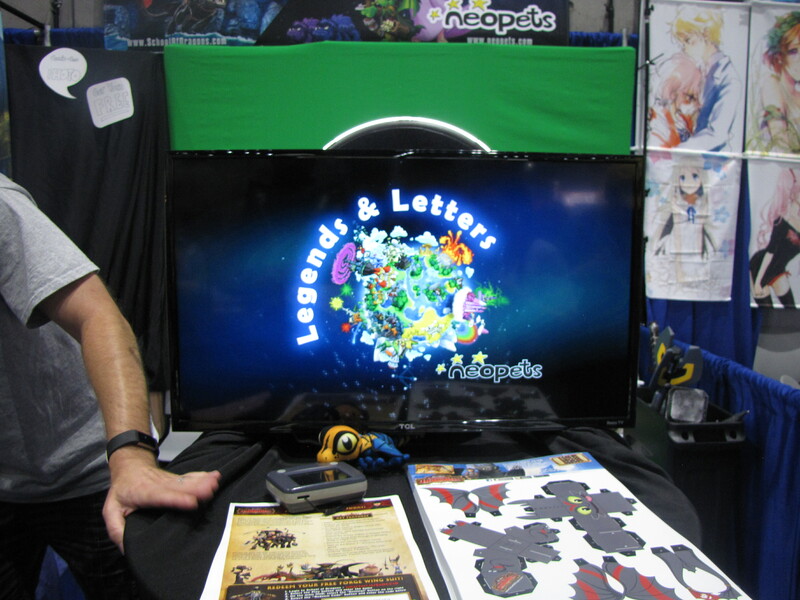 Neopets Legends & Letters is the new mobile app that they were debuting at Comic Con. There's no firm release date yet, but they're aiming for Q4 (October - December) of this year. 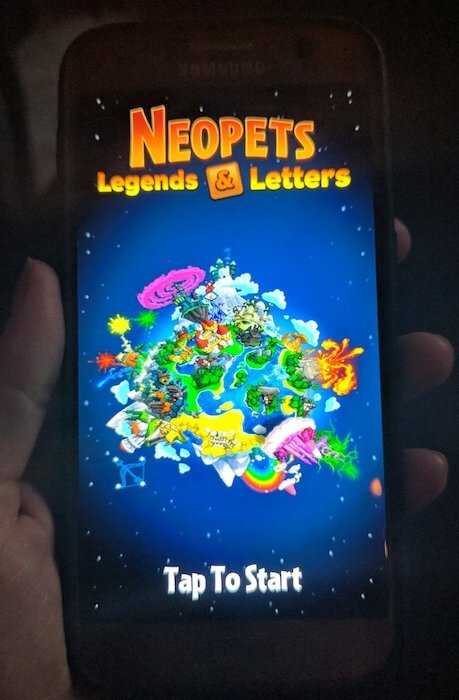 A new mobile friendly website is coming for Neopets, projected to be released after Legends & Letters. Another new app is currently in development (no official title yet) that was described as a "Neopian world building" game. Dark Lord speaking to the crowd of Neopians. More details on each of those announcements below! 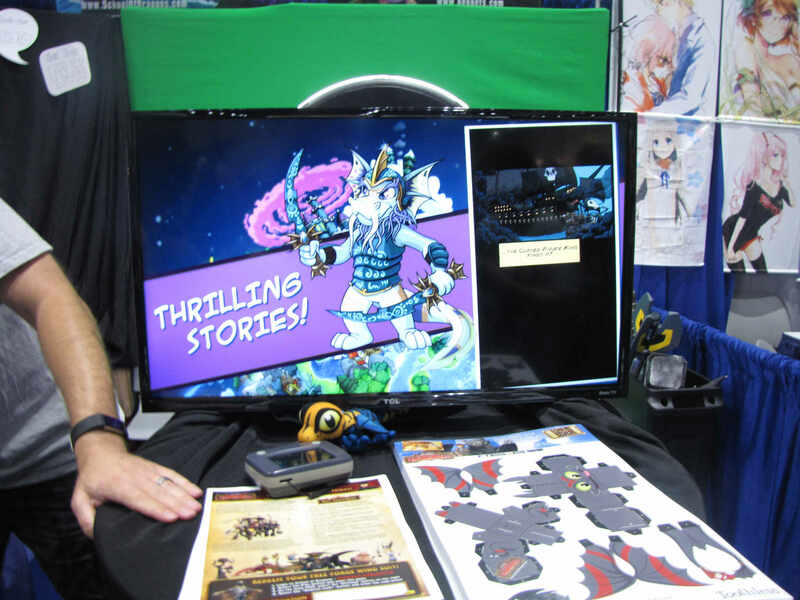 In addition, of particular note is the fact that Key Quest was announced as formally planned to return, but as a mobile app. We expect this to be a new experience built from the ground up. 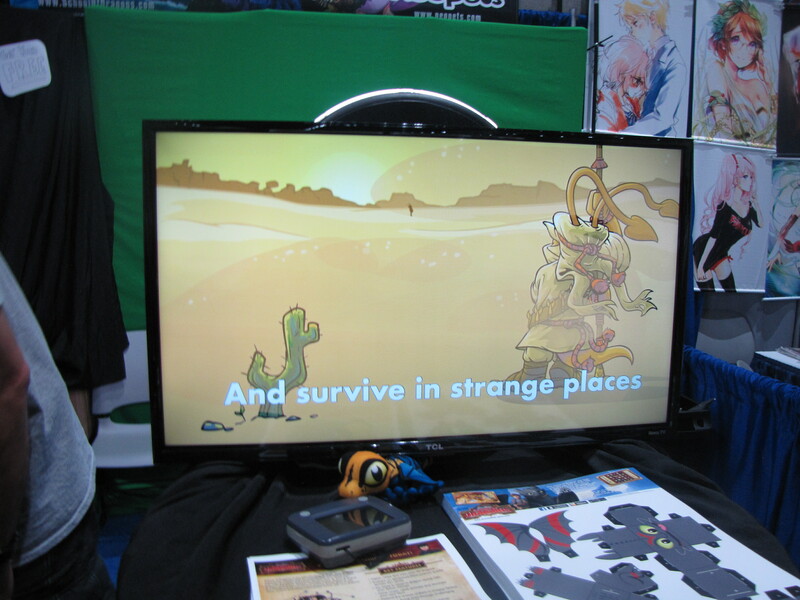 The game has been described by TNT as "Scrabble meets Neopets battling." In other words, it'll be a word puzzle game. There will be power-ups to help you get through levels, and there will also be various stories to accompany the gameplay, but those are still in development. The game currently does not have a set release date, but Jumpstart is aiming to get it done by Q4 2018 (aka some time between October and December). 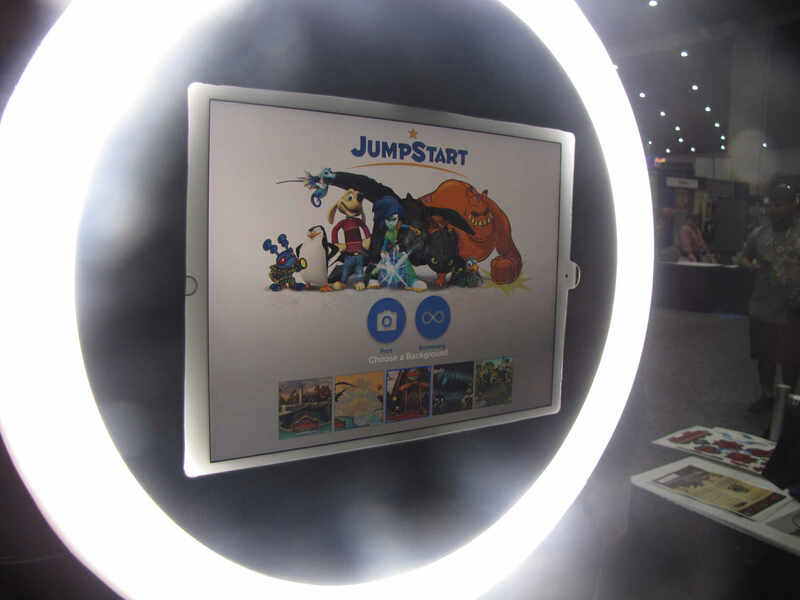 During his announcements, Dark Lord acknowledged that JumpStart has had some bumps with Neopets releases, and said that there would be "no releasing a product until it's ready." 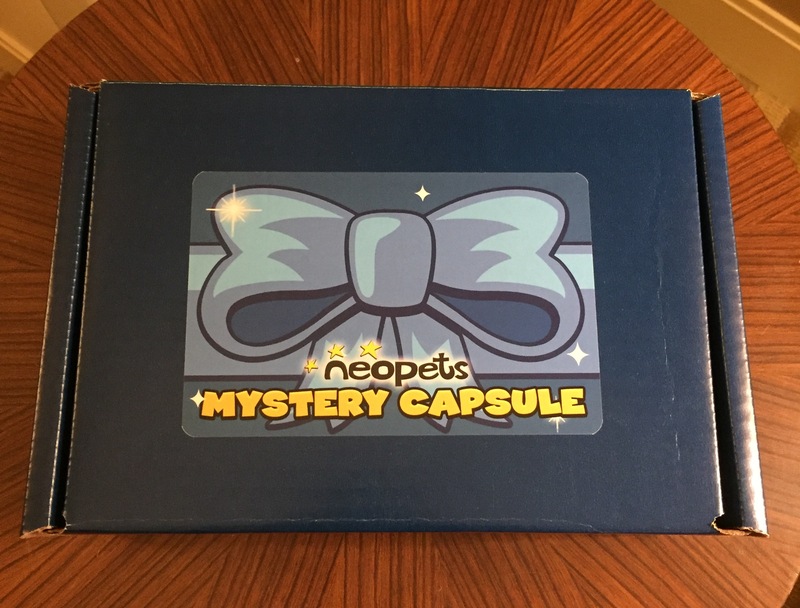 Details are sparse on this one, but Jumpstart is planning on releasing a mobile-friendly version of Neopets.com. Again, this doesn't have a hard set release date yet, but they're planning on releasing it after Legends & Letters gets released. The old (currently existing) website isn't going away, and they are hoping to update as many of the existing Flash games as possible, focusing on the most popular ones first. Dark Lord acknowledged that not all games could or would be easily converted to a mobile form, however. Annual events like Daily Dare and Altador Cup will also continue. As many as possible will be included in the mobile version. 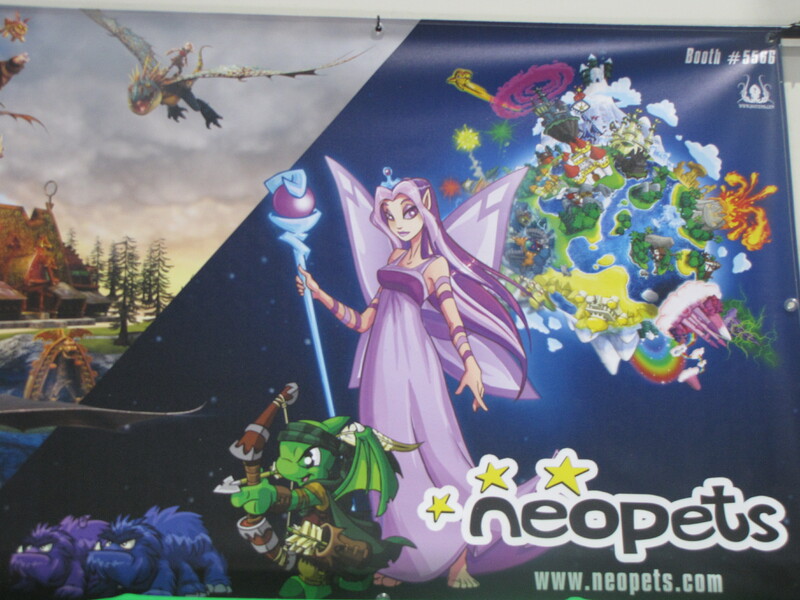 There are currently about 5 or 6 of the more popular Neopian worlds set in production to be in the game. 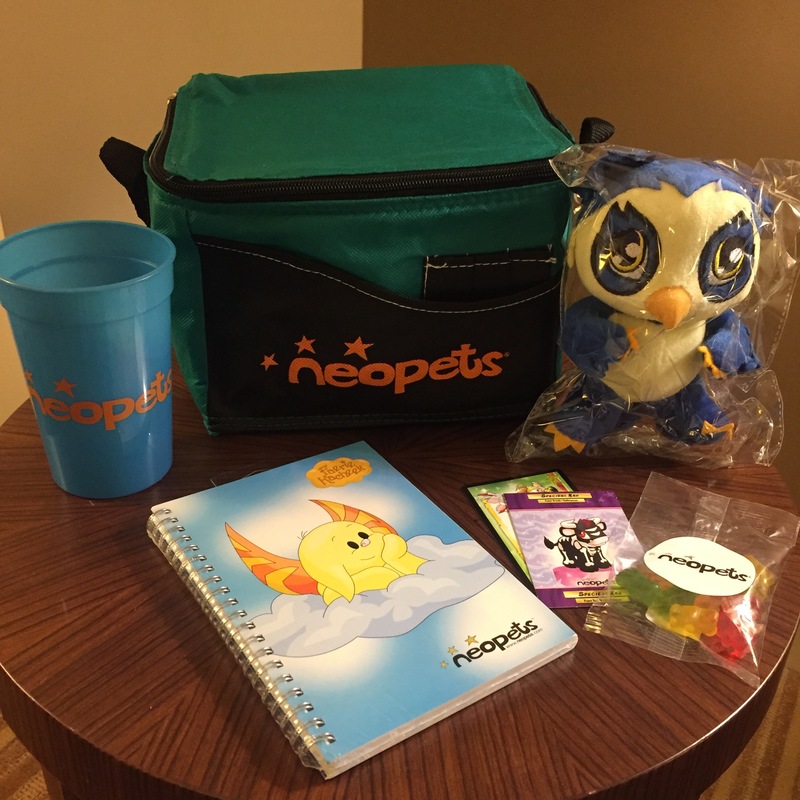 All together, they now have four separate development teams working on Neopets content. One to fix and maintain the existing website; one to work on the new mobile-friendly version of the website; one working on Legends & Letters; and a fourth (based in Vancouver, Canada) working on the Neopets world builder game. 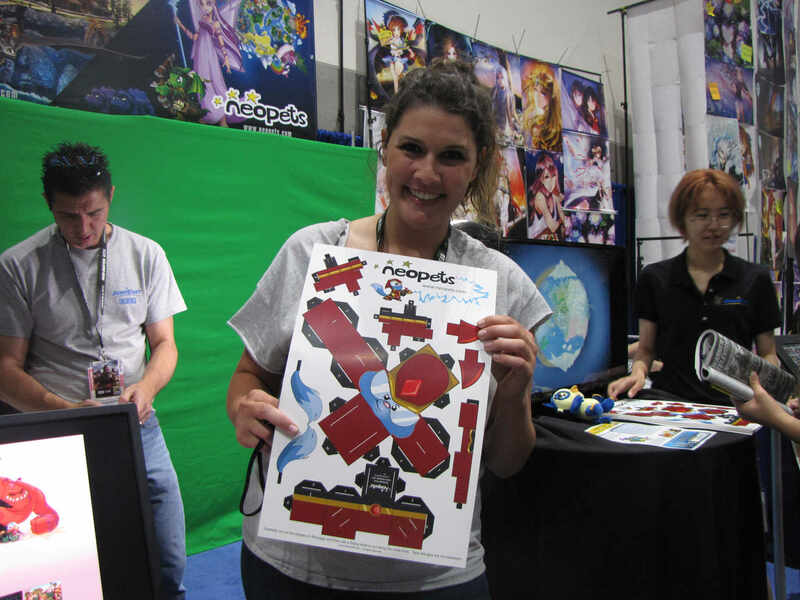 Hip-Hop Queen said that her vision is for the Jumpstart marketing team to build off of interactions with the Neopets fanbase; good marketing should be dynamically informed by the players' feedback and interaction. And as we mentioned above, based on the reaction to this Comic-Con event, they would really like to have more events in the future in bigger venues. They also want to fix up loose ends and work on their quality control. Hip-Hop Queen envisions developing an online community where the focus moves away from fixing tickets, and she hopes that we players are seeing their efforts to get the negative issues like tickets cleared up more quickly so the focus can be more on positive interactions. To wrap it up, Hip-Hop Queen summed up her goal as "trying to make mass changes with the community to push things for the better." 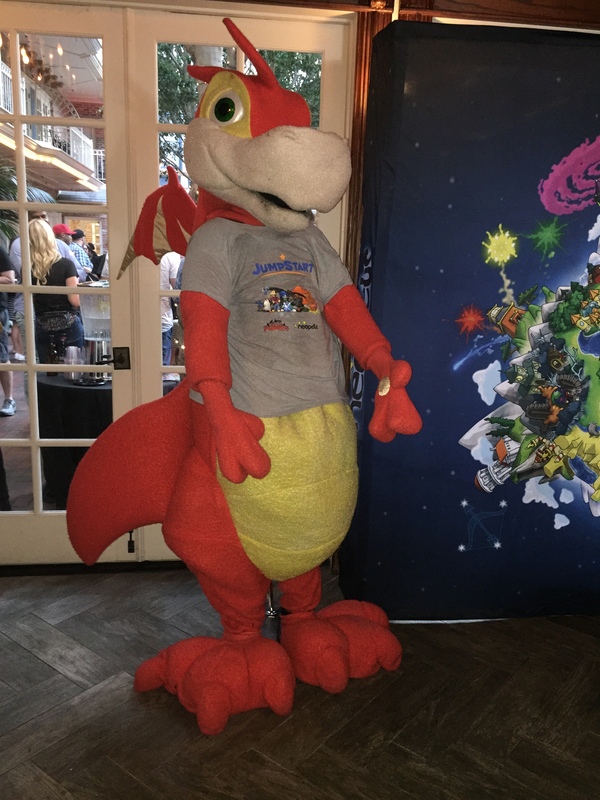 This theme of developing the community was echoed by every Jumpstart employee that Perry spoke with, and was clearly their collective goal for the event. 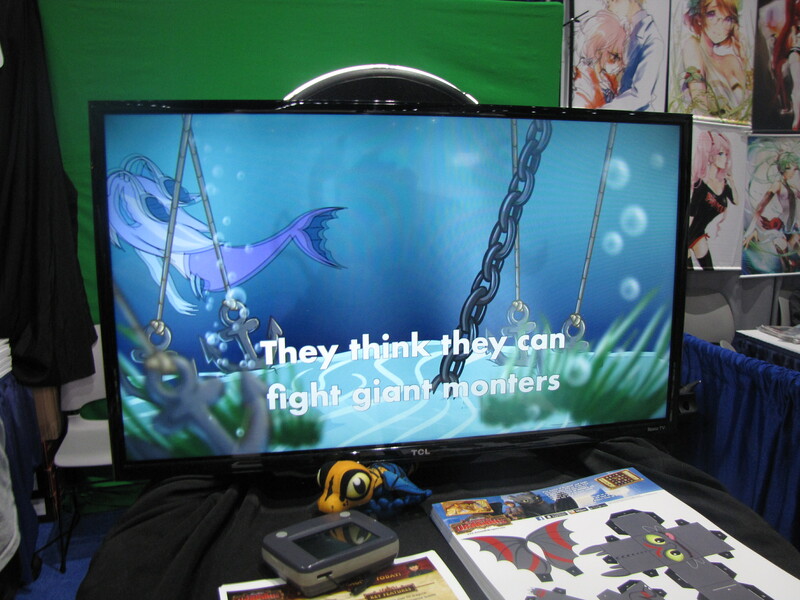 This year, blink_darkphoenix was able to get onto the convention floor and snap a few photos for us! 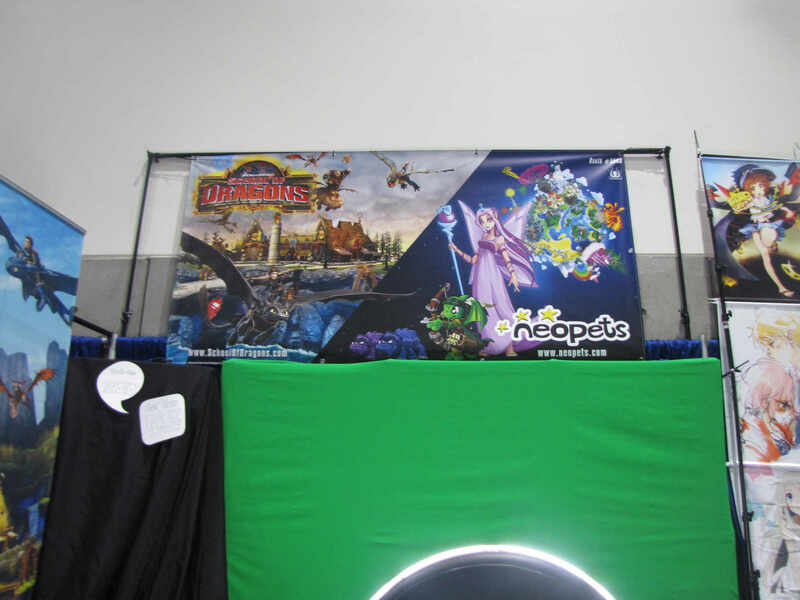 The overall booth was similar to 2014's event, showcasing the same papercraft and providing a photobooth, but with a bit more emphasis on Neopets as well as School of Dragons. 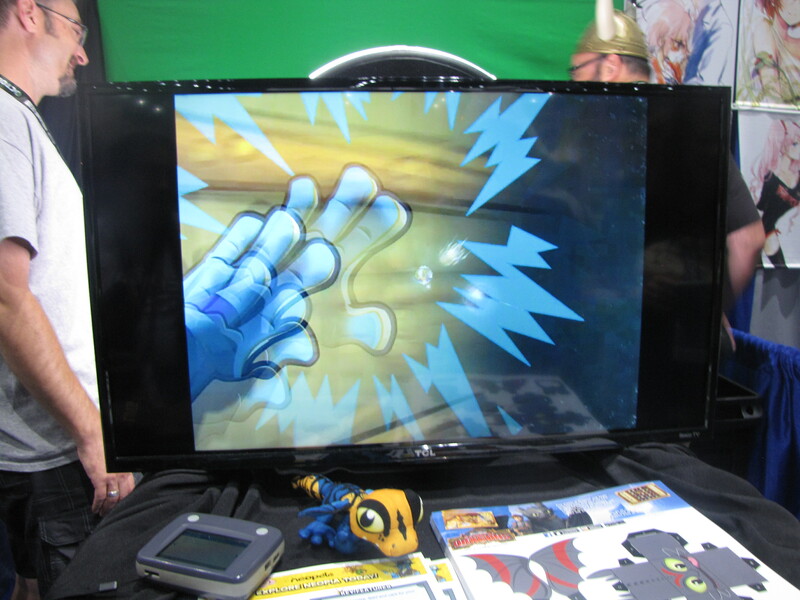 Video promos of Legends & Letters, a general video of Neopets itself, and some School of Dragons were shown. 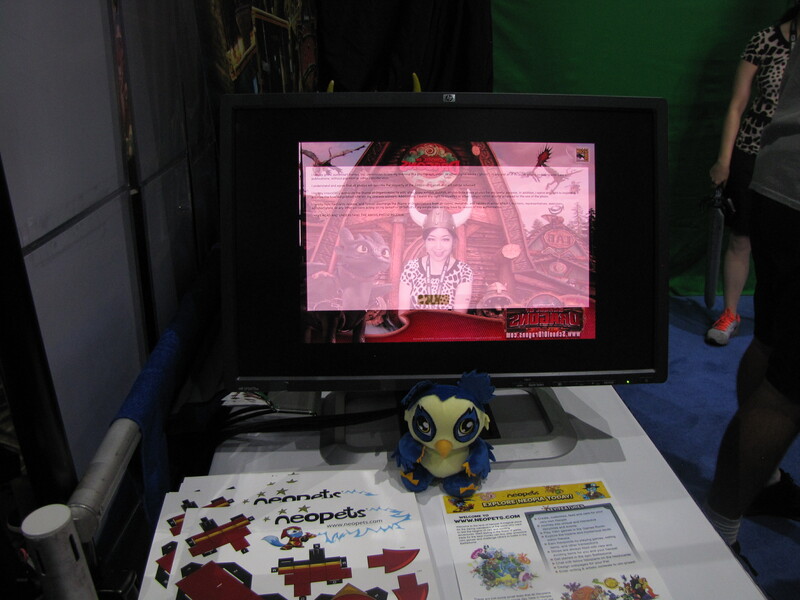 Jade, Hip-Hop Queen, and Jumpstart's creative director (currently an unnamed TNT'er) were all in the booth. The photobooth was basically the prominent feature for the booth along with the virtual codes. 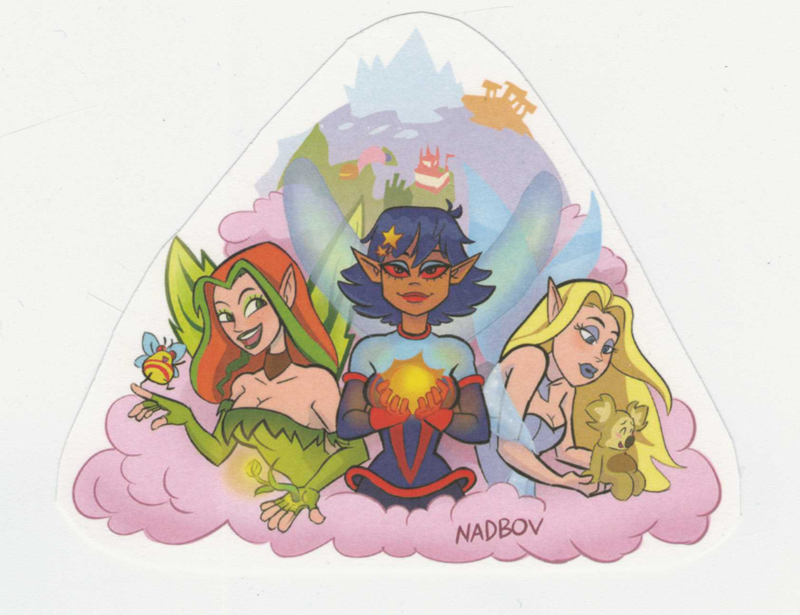 There were five selections (three School of Dragons and two Neopets) with the two being Mystery Island and Haunted Woods/Neovia themed. 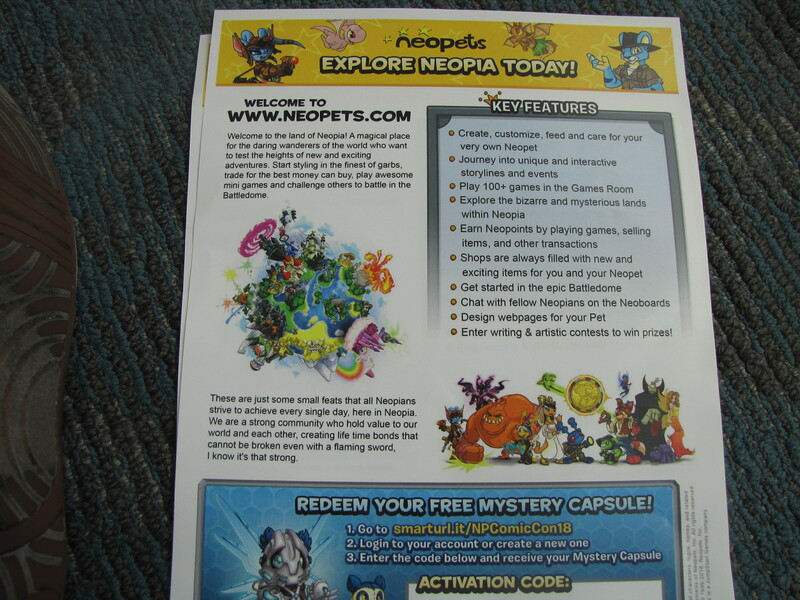 They gave out virtual prize codes for both School of Dragons and Neopets. They put out three to four at a time at the front while putting the rest in the back due to an incident from previous days. 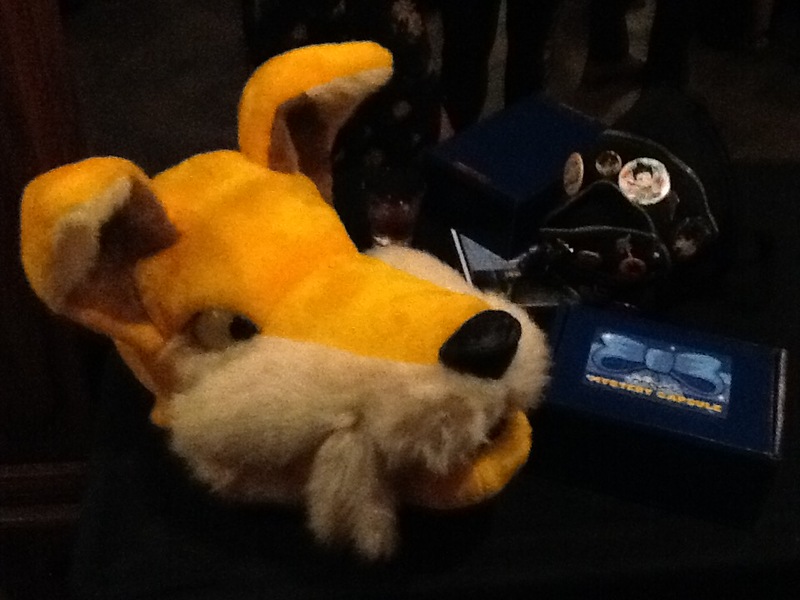 They also scanned the badges so only one per attendee. 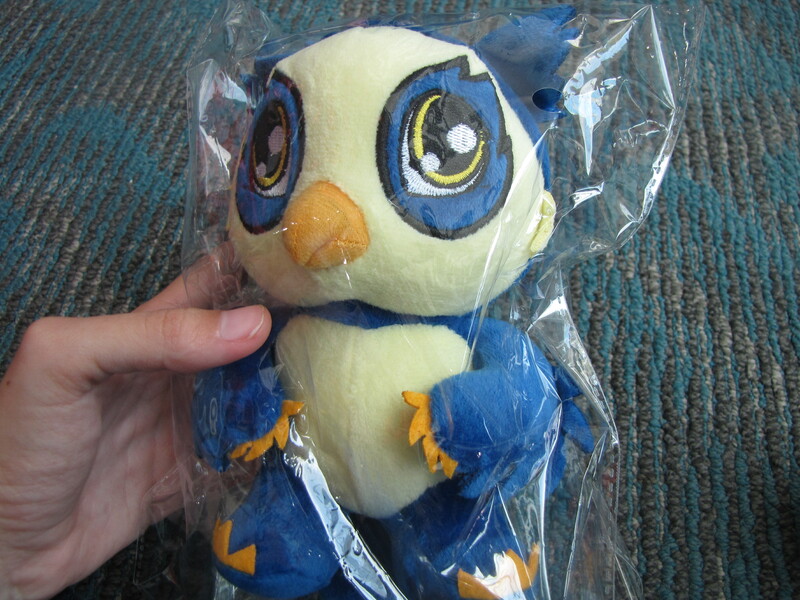 They also gave out Vandagyre and SoD Plushies to us as a small token for taking the time. 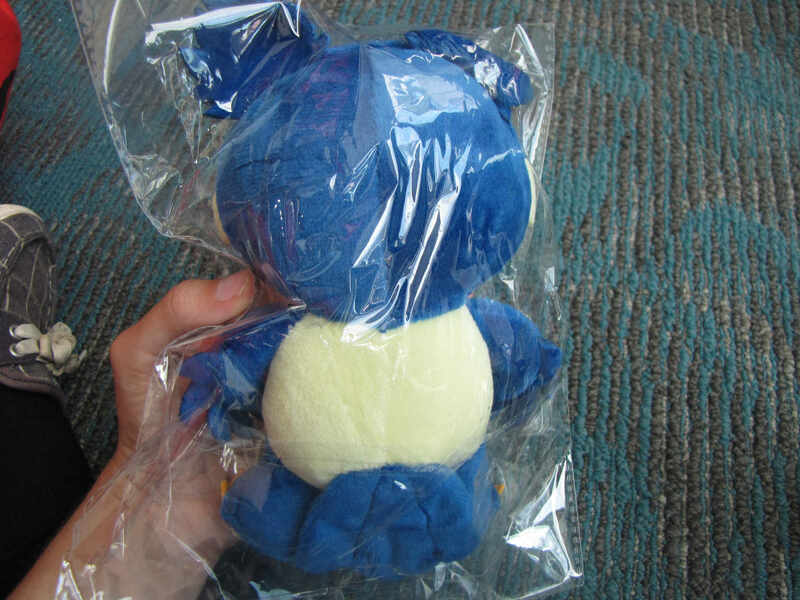 However, the plushies weren't given out to everyone. If asked or just had a passion to chat with them, they were willing to give them out. 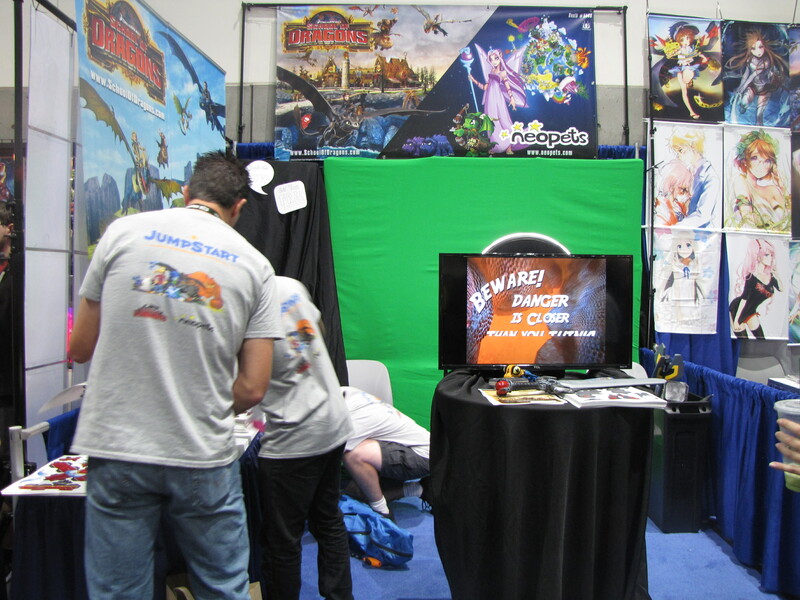 Thanks again to blink_darkphoenix for the booth photos!